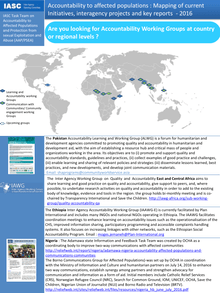 Accountability Working Groups at country or regional levels ? 2.Examples of inter-agency information and feedback mechanisms or call centers ? 3.Examples of inter-agency projects related to Accountability to Affected Populations ? 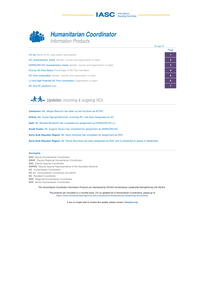 4.Examples of how accountability to affected population is integrated into Humanitarian Response Plans? 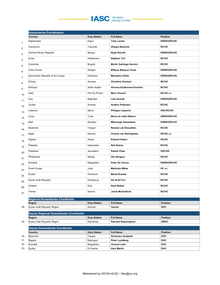 5.Examples of how accountability to affected population is integrated into key global reports ? 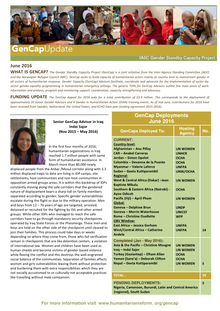 WHAT IS GENCAP? 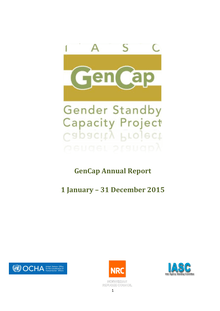 The Gender Standby Capacity Project (GenCap) is a joint initiative from the Inter-Agency Standing Committee (IASC) and the Norwegian Refugee Council (NRC). 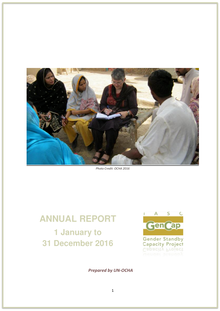 GenCap seeks to build capacity of humanitarian actors mainly at country level to mainstream gender in all sectors of humanitarian response. 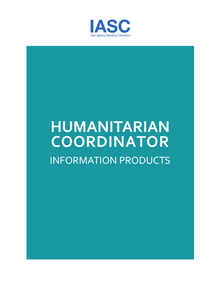 Gender Capacity (GenCap) Advisors facilitate, coordinate and advocate for the implementation of sector-by-sector gender-equality programming in humanitarian emergency settings. 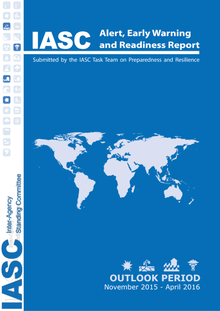 The IASC Alert, Early Warning and Readiness report is produced bi-annually as an inter-agency effort by the Task Team on Preparedness and Resilience (TTPR) for IASC member agencies. 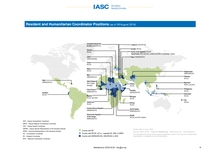 The report highlights serious risks that were either identified as being of particular strategic operational concern or as having a high probability and impact on humanitarian needs. In addition to collaboratively assembling the report, the report includes an analysis of the state of readiness, prepared by OCHA, which is compared against each risk. Ginebra, 14 de septiembre de 2007 - Varios organismos humanitarios internacionales han acordado una nueva serie de directrices para atender las necesidades de salud mental y psicosociales de los supervivientes como parte de la respuesta a los conflictos y los desastres. Genève, le 14 septembre 2007 - Les organisations humanitaires internationales se sont entendues sur un nouvel ensemble de lignes directrices pour couvrir les besoins des survivants en matière de santé mentale et de soutien psychosocial dans le cadre des interventions sur des conflits ou des catastrophes. New York, 19 July 2000 - The Inter-Agency Standing Committee (IASC) today warned that a severe drought is affecting more than 60 million people in Central and South Asia, particularly in Afghanistan, Tajikistan, Pakistan, India and Iran. This drought has led to a significant loss of livestock and crops, a rapid deterioration of health and sanitary conditions in the affected communities, and raised the prospect of large population displacements within and across national borders.